The last Sitka Farmers Market of the summer will be from 10 a.m. to 2 p.m. on Saturday, Sept. 15, at Alaska Native Brotherhood Hall, so the Sitka band Slack Tide will be the market’s special guest. 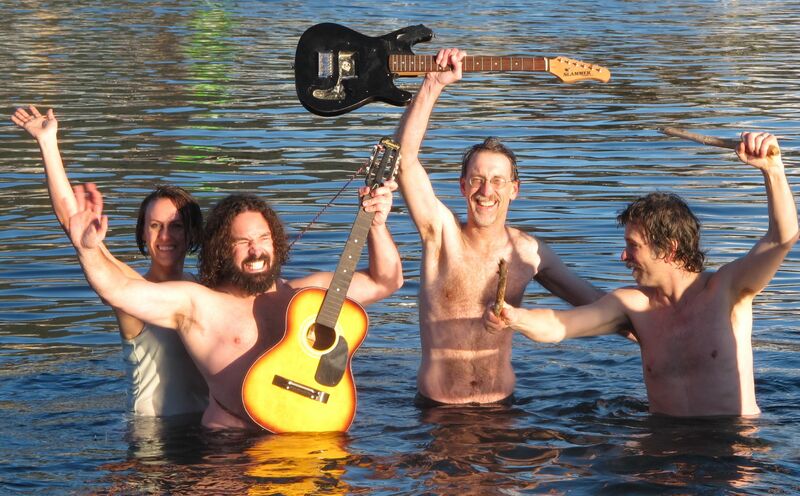 Slack Tide is rock and dance band that’s jamming Sitka style. The members of the group are Joe Montagna on guitar and vocals, Jen Reid on vocals, “Pignose Bob” Jacobs on guitar and vocals, Peter Apathy on bass and Colin Herforth on drums. 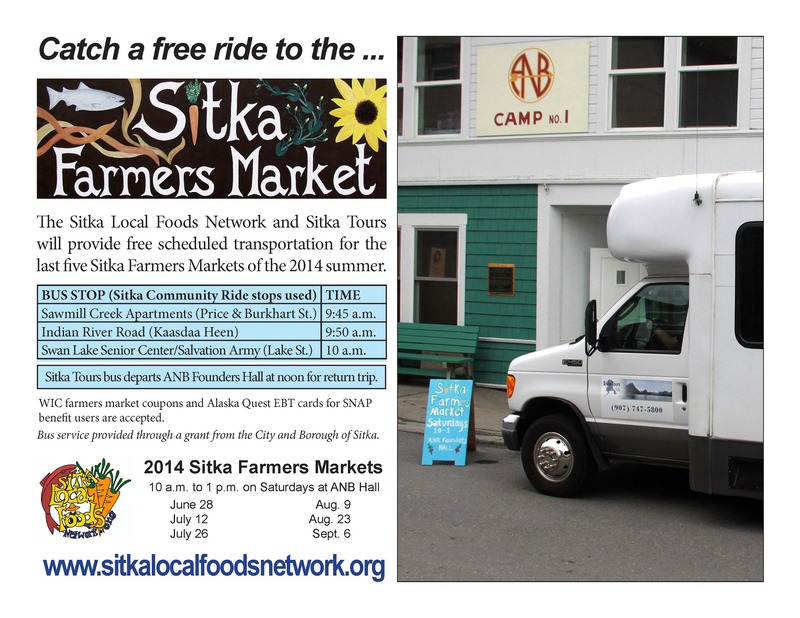 Also, don’t forget the Sitka Farmers Market now accepts Alaska Quest electronic benefit cards and debit cards. You can use these cards to purchase tokens, which you then can spend with participating vendors at the market. Look for the Sitka Local Foods Network booth inside ANB Hall for more details. 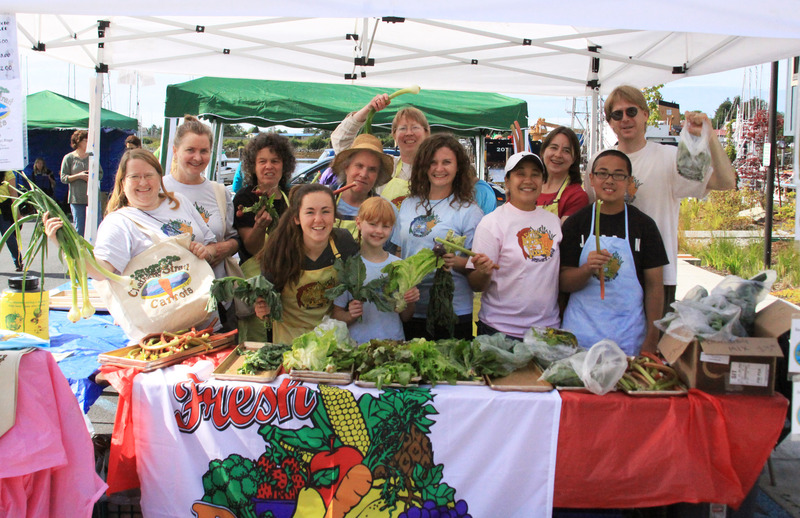 In addition, we always need volunteers to help us set up before the market and to take down the market after we’re done. 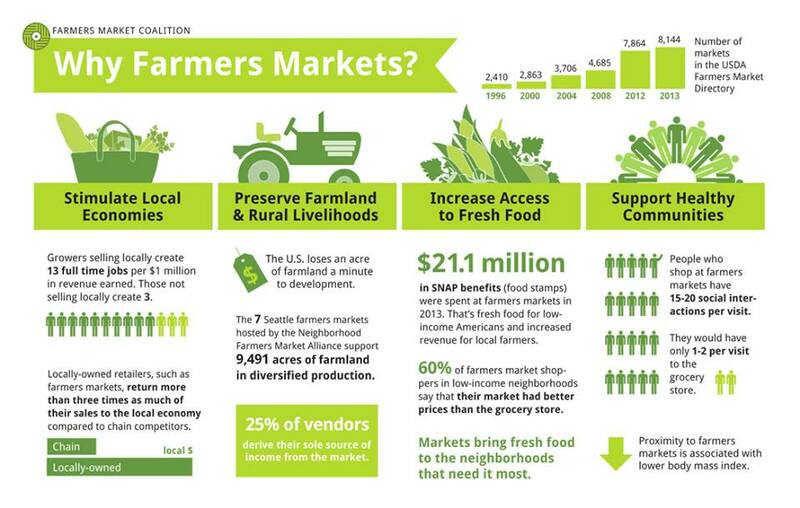 Please contact Sitka Farmers Market coordinator Johanna Willingham at 738-8336 if you’re interested in helping out. Finally, don’t forget to mark your calendars for the Running of the Boots fundraiser for the Sitka Local Foods Network on Saturday, Sept. 29, at Crescent Harbor Shelter. Race registration is at 10 a.m., costume judging is at 10:30 a.m., and the race starts at 11 a.m. Paint up your Xtratuf boots and get your costumes ready for this fun event that’s great for kids and families. We will have a booth or two selling late-season produce at this event. Watch for more details coming soon. 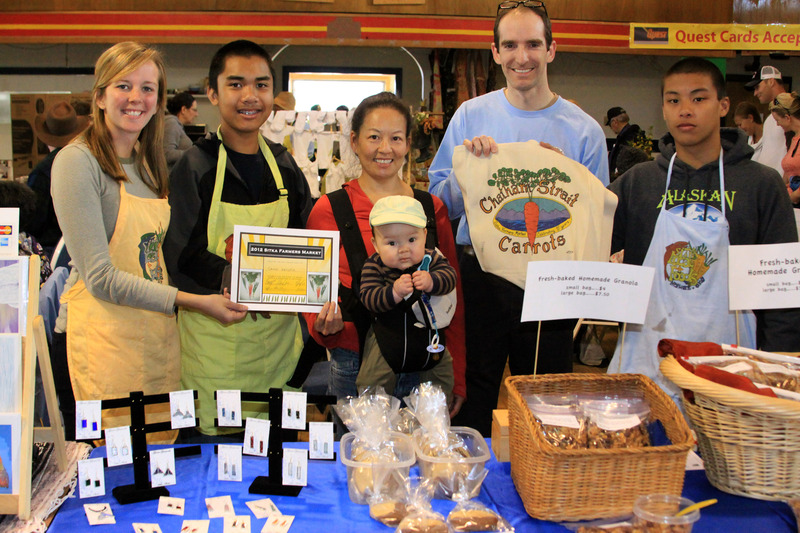 TABLE OF THE DAY: Sitka Local Foods Network intern Courtney Bobsin, far left, volunteer Mark Partido, second from right, and volunteer Marjo Vidad, right, present the Table of the Day Award to Carrie Hisaoka (with baby Joshua Warren) and Ben Warren for the fourth Sitka Farmers Market of the season, on Aug. 18, 2012, at the Alaska Native Brotherhood Hall. 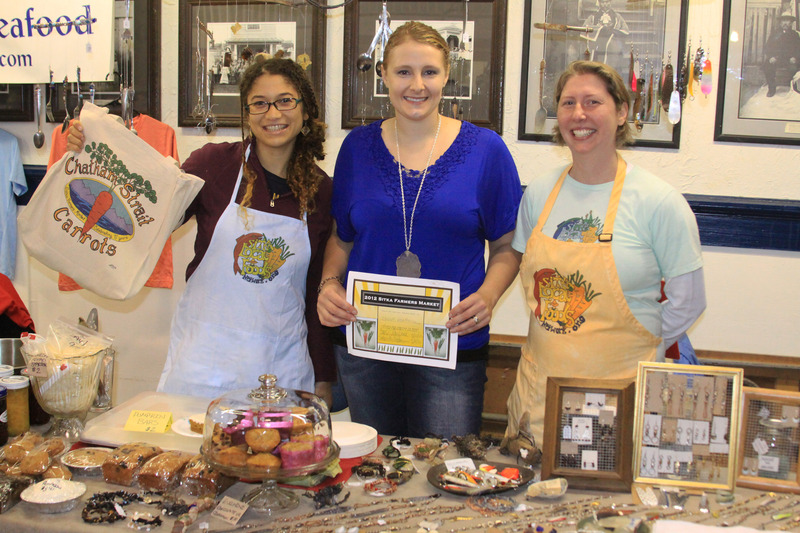 Carrie and Ben sold handmade jewelry, fireweed bread cookies and homemade granola. 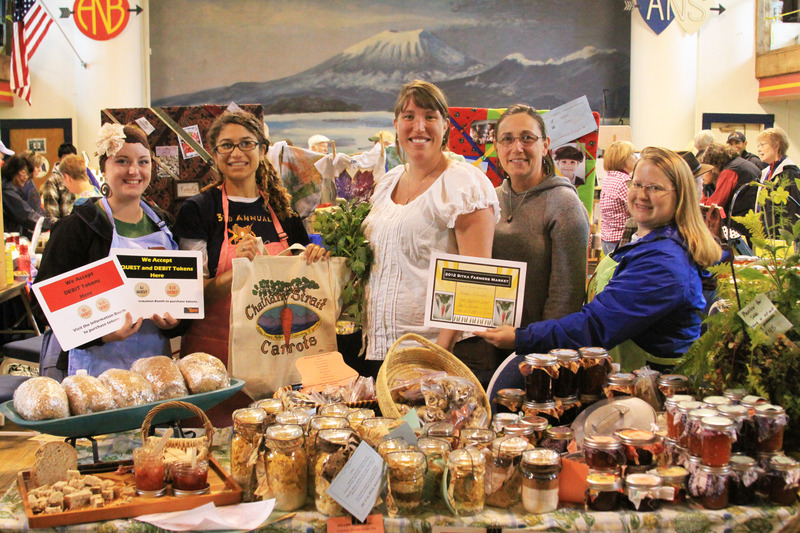 The Sitka Local Foods Network board selects a Table of the Day winner from the vendors at each Sitka Farmers Market of the season, and the winners receive prizes such as a fifth-anniversary market tote bag and check.